Refresh your lawn and let The Lawn Man make it look beautiful again! 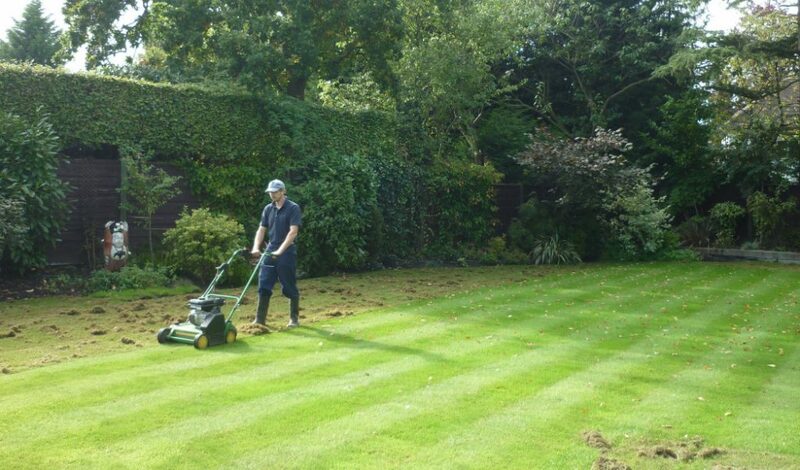 If your lawn is looking old, tired and worn out, it is sometimes better to take more drastic action and to bring a lawn back to it’s best through more heavier, more aggressive treatments. No matter how bad the lawn, there is a way to bring it back to it’s best. The Lawn Man scarifying a lawn.